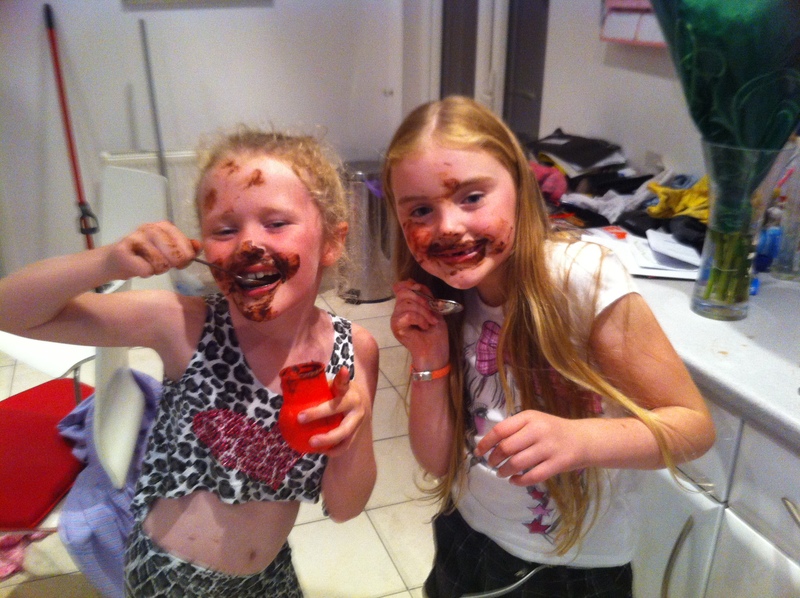 Young girls, chocolate and lots of, what else is going to happen? No, my plan B is rather more stellar. The other week I babysat. I opted for active babysitting, which involved the nieces and their assorted friends, and we all embarked on a little chocolate moulding and sweet creation. We came up with some Bounty Balls. Post my babysitting/choccie efforts, I learned that the family of one child so liked the Bounty Balls they would be willing to pay for them. Plan B is looking more achievable don’t you reckon folks? Prepare a baking sheet with a layer of grease-proof paper. Empty the condensed milk into a large bowl and add the desiccated coconut and mix well. Roll into small bowls (about the size of a large marble) but bear in mind that you will probably need to wash your hands after every two or three rollings. Place the balls on a large plate or tray and place in the freezer for about 30 minutes to an hour. Thanks Jenny – and let me know how they work out for you.